Looking for items to buy with your lottery winnings? 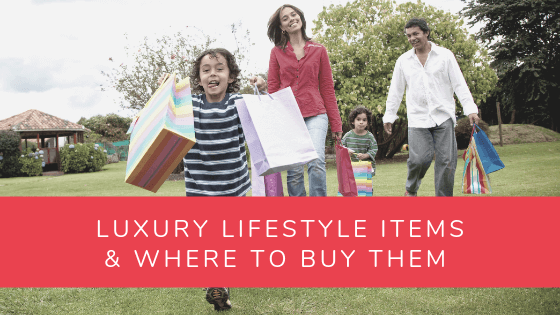 Check out these luxury lifestyle products that we found! Now that you’re living the sweet life with your lottery prize, you can buy anything that you want, without looking twice at the price tag. Why not indulge yourself with the finer things in life and shop around for luxury lifestyle goods? We compiled some of the more unique and striking items in this list, so be sure to check them out! There’s a reason why cashmere is revered as a clothing material, given its soft, comforting touch which usually comes at exorbitant prices- it comes from a specific type of goat whose fur can only be harvested once a year. With The Elder Statesman Cashmere Blanket, you can enjoy this cloud-like, heavenly texture every night when you tuck yourself to sleep. 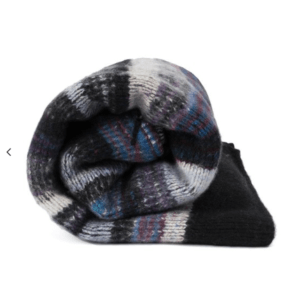 With a price tag of $11,762, you can have a good night’s rest knowing you are covered with such an exquisite and plush blanket made of 100% cashmere. Whether you’ve just bought a new house and are looking to fill it with exquisite furniture and fixtures, then you should check out Amara. They have a whole variety of items for every part of your home- living room, bedroom, kitchen, dining, and bathroom. They feature the latest design trends from interior shows, while also housing famous brands and names for every category. They also have a lifestyle section which contains travel accessories, fashion wear, and tech items. What better way to feel luxurious and elegant than with gold color coated cutlery? Roullier offers a 16-piece set made from stainless steel with food-safe PVD coating resulting to a stunning finish that resists corrosion from everyday use. It is also available in bronze and black, and costs £74.95. You can also find a variety of other lifestyle products like home accessories, beauty and grooming items, and fragrances from their store. How about letting your fur babies enjoy some of your winnings? Posh Puppy Boutique offers some of the cutest and most comfortable dog clothing ranging from dresses, couture vests, tuxedos, tutus, hoodies- a whole variety of exclusive apparel. They also have dog beds, furniture, crates, blankets, fashion collars, and toys. If you want your puppy to look fashionable and live as extravagant as you do, this is right store to go to. 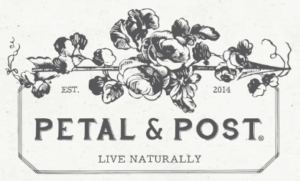 Petal and Post offers a collection of skin care, hair care, and other beauty and wellness products made only from authentic, organic, and ethically sourced materials. They are recognized and accredited by a number of organization upholding organic, ethical, and ecological standards, among other good causes. They also offer baby products and other home and living items, as with selected luxury brands that passed their standards on performance, packaging, potency, pureness and principles. What if you have the choice to shop to your heart’s content while also donating to an organization with a good cause at the same time? Livoos is an online luxury shop that donates 10%of what you spend to a charity or organization that you like. They carry men’s and women’s apparel, bags, accessories, watches, and jewelries. They also donate 50% of their revenue to charitable causes, so you know you’re supporting a company that is making a difference in the world. Luisaviaroma houses a whole boatload of fashion designer brands, from clothing, bags, shoes, accessories, and everything in between. They also have unique home and living offers, like carpets, vases, furnishings, and art pieces which exude style and craftsmanship. They ship without any charges to a dozen countries, with duty and import charges included in their prices. Here are some unique and extravagant items that will really level up your everyday living! Nothing says luxury like a sun lounger which can be rotated 360 degrees to face the sun and give your skin a perfect and even tan. Remmus raised the bar even higher by fitting it with a bunch of features: an electrical backrest which can be adjusted to a more comfortable angle, hi-fi Bluetooth speakers that work flawlessly despite harsh weather, a wireless charging station for mobile phones, a service button to call the waiter or butler, water sprayers, and LED lights. It can be plugged into a power outlet, or run on batteries if you’re out on a remote location. This £37,600 sun lounger can only be purchased by contacting the company itself, as it is not available in retail stores. An internationally known brand in fashion, Hermes remains an iconic brand for bags, lifestyle accessories, jewelries, and other luxury fashion goods. Their Birkin bag collection remains a symbol of wealth because of its luxurious price, extravagant materials, and scarcity in the market. Prices range from $11,900 to $300,000 depending on the bag’s material- the type of leather or exotic skin used, and precious stones attached. They are also considered investments as they increase in value over time- in 2017, a Himalaya Birkin bag was sold for $379,261 at an auction, beating the previous year’s record of $300,108. You can find a store locator on their website, and you can also place an order online. Hermes made a bold statement in their product line offer with the Le Flaneur d’Hermès, a unisex city bicycle with premium leather seats and handlebars, made from lightweight carbon fiber, and fastening systems where you can attach your Hermes bags in front of the handlebar and the side rack of the back wheel. It also comes with a small portable tool kit and air pump. 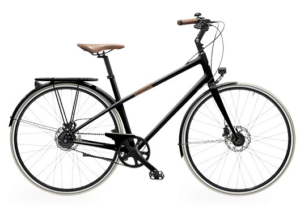 The bike is currently priced at £8,930.00, and is available via their official website. How about the luxury of cruising in style while still being kind to Mother Nature? Say hello to the Dasher. Dubbed as the Tesla of the sea, it is the world’s very first electric-powered yacht, created and designed by Hinckley. This 29-foot vessel runs quietly thanks to their Whisper Drive propulsion system, powered by dual BMW lithium ion batteries, that fully charges in just 4 hours with dual 50 amp charging.. The hull is made from carbon-epoxy composite materials, and the body from Artisanal Teak, with every slope and curve meticulously designed. It can go from a relaxing 10 mph speed to a fast cruising 18 to 27 mph, and can run for 40 miles in slow speed and 20 to 25 miles at fast cruising. It costs a whopping $500,000- you can get in touch with Hinckley’s team for more information. Tesla is known for creating automobiles that are environment-friendly by using electrical energy instead of fuel. But they aren’t restricted to cars and vehicles alone- they also offer energy saving items that can be used for homes and establishments. One of their products is Powerwall, a home battery which can store solar energy, and makes it available for use even when the sun has set. It produces 100% clean energy that can also be used in instances of power outages, where the power supply to your home will be restored within a fraction of a second- you won’t even notice that the power went out. You can also order new solar panels, or just the Powerwall if you already have them installed in your home. One Powerwall costs $11,000 plus $700 for the supporting hardware. If you want a limited handcrafted coffee maker made from 24 karat gold, silver, or smelted copper, with Baccarat crystals, and your choice of rare mineral for the base, then Royal Coffee Maker is right up your alley. Prior to production, each design is brainstormed by French artists, sculptors, metallurgists, and engineers. An old method of casting called cire perdue molds the brass parts, while an artist chisels the remaining details by hand. Meanwhile, the base can be made from malachite, black obsidian, or azurite. This elegant coffee maker ranges from $15,500 to $24,000 depending on your choice of materials. What better way to make an impression than with your very own bar? The Makr Shakr takes it up a notch with a robotic bartender, a ceiling mounted storage which can hold up to 160 bottles with custom valves for a more precise dispensing, LCD screens for order information, queue time and usage stats, waterproof Corian counter, user-activated delivery systems with RFID or QR code unlock, an accompanying app where orders will be entered for each user, and did we mention that the robot can dance upon request? They also have a mobile bar tender package with similar specs. You can buy or rent this high tech bar tender from their website.